To avoid accidental purchases, or prevent nearby kids from emptying your bank account with iTunes Store purchases / in-app purchases, iTunes asks you by default for your account password every time you buy something. It will at least ask for a confirmation if you just bought something and entered your password already. 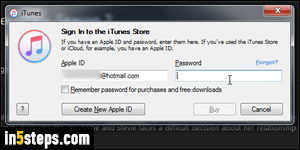 I'll show you how to make iTunes stop asking for your password every time you purchase, and how to disable password-protection for free items. To customize iTunes' password options: on Mac OS X, click on the iTunes menu (top left corner, next to the Apple menu), and pick Preferences. 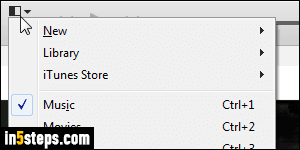 On Windows 7 / 8 / 10: if you're showing iTunes' classic menus, go to Edit > Preferences. Otherwise, click on the menu icon and choose "Preferences". You can also hit the Ctrl+, keyboard shortcut (Windows) or Cmd+, (Mac). Select the Store options at the top. While the text at the top reads "Password Settings for [your Apple ID / email address]", these settings only affect this particular copy of iTunes - not iTunes on another Mac or PC, and not the iTunes Store on one of your iOS mobile devices (iPhone / iPad / iPod touch). The first dropdown changes iTunes' behavior for new purchases; except for audiobooks (sold on iTunes, but via Amazon's Audible.com service), you can re-download for free the apps, music, TV shows, movies, and eBooks you've already purchased with the current Apple ID. Click on the Purchases dropdown, and select your preference: "Always Require" -the default- asks for your password every time; "Require After 15 Minutes" only asks for your password if you didn't make a purchase in the last quarter of an hour. 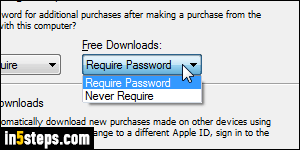 Choose "Never Require" to make iTunes let you purchase anything from this computer without ever asking for a password: you'll still get the "Are you sure you want to purchase" confirmation, but no password prompt. Only use that on a computer you trust! The "Free Downloads" dropdown lets iTunes never ask a password to download free content. Click OK to save your new settings.